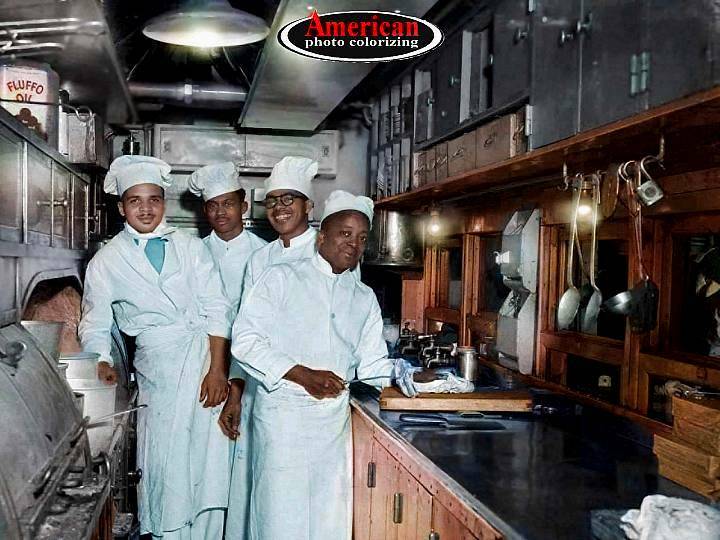 Welcome to the American Photo Colorizing.com photo blog! 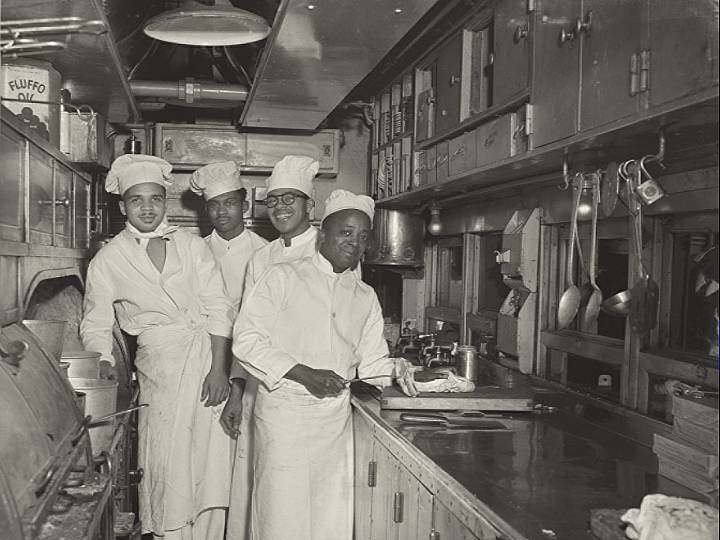 We colorize black & white photos for museums, media, multi-media, and families like yours. 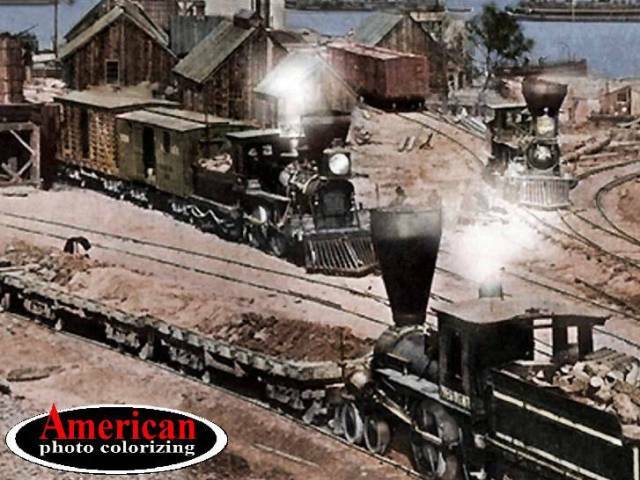 Our online Photo Gallery features 100s of colorized vintage images available for purchase. These images are HD-quality, and can be enlarged to at least 18″x24″. They look beautify when framed or mounted as a canvas wrap. The year is 1864. 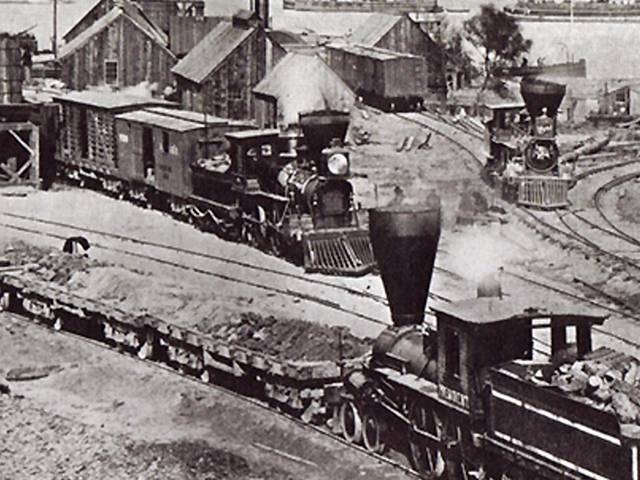 A central Virginia town at the junction of the James and Appommatax Rivers, City Point became a critical Union port and supply hub during the Civil War. 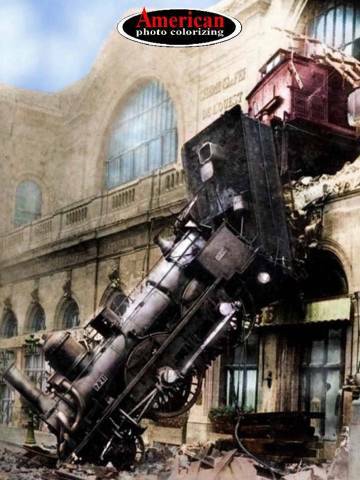 It’s also the likely location of this fantastic photo showing three classic locomotives. Color is by yours truly at American Photo Colorizing.com. Welcome to American Photo Colorizing .com’s photo blog,.We colorize black & white photos for museums, media, multi-media, and families like yours. Our online Photo Gallery features 100s of colorized vintage images available for purchase. The year is 1895. 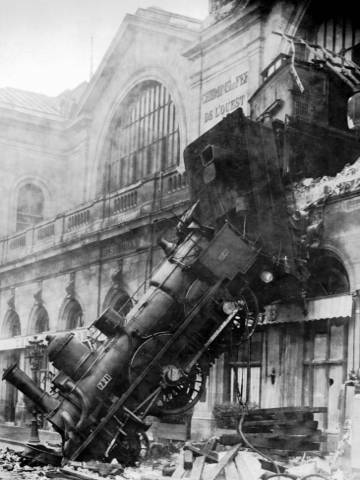 An engineer racing his locomotive to make up lost time, crashes through a wall of Gare Montparnasse in Paris, France – and VOILA! No doubt “texting” was involved. The year is 1882. 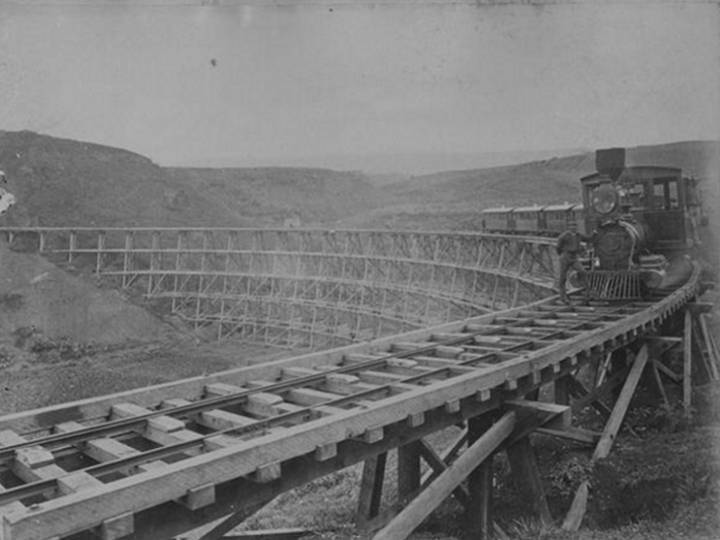 Hawaiian Railroad aka Kohala Railroad consisted of track that covered 20 miles near Kohala on the Hawaiian main island. rail cars transported tourists and sugar from nearby plantations. 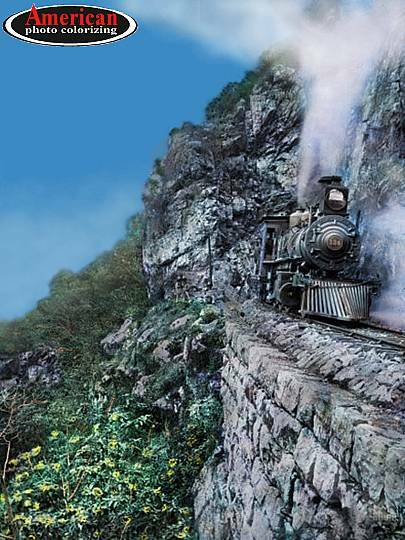 Gallon upon gallon of fresh water needed to operate the steam engine, Kinau – had to be shipped from Honolulu, then transported by mule team from Mahukona port to the spot where the train refueled. Though the route looks innocent enough in this photo – in fact, you’d be hard-pressed to find a more harrowing 20 miles of track. 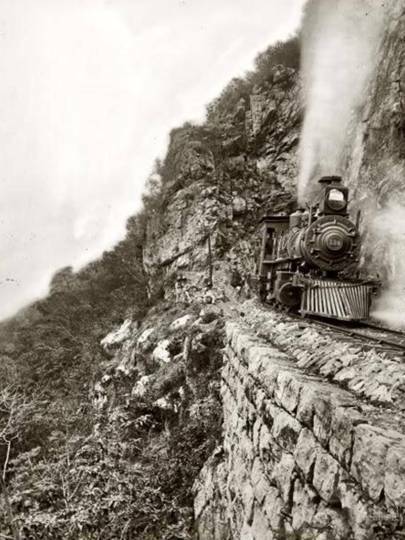 At various points, the 36-inch narrow gauge tracks were laid on bare lava, negotiated steep cliffs, and crossed deep gulches. 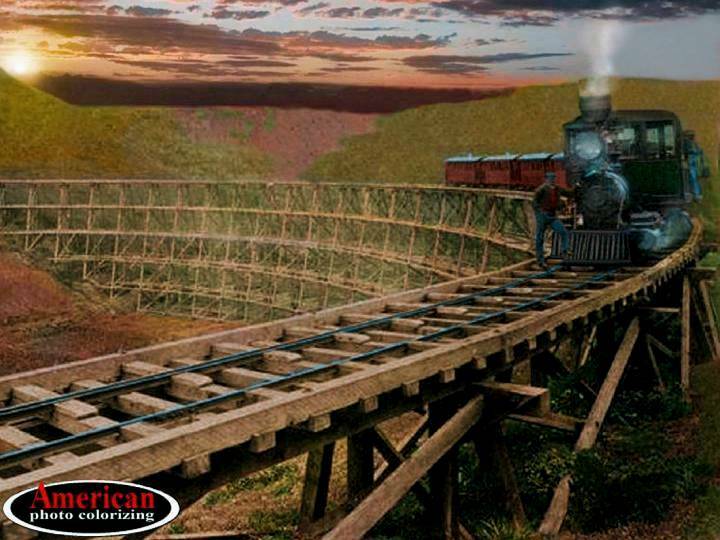 There were sharp curves and trestles suspending the train up to 60 feet in the air. Despite achieving a top speed of only 12 miles per hour, taking a trip on the Kinau had to have been akin to riding Space Mountain or even Mr. Toad’s Wild Ride at Disneyland. The year is 1908. Here is a beautiful magazine ad for the Santa Fe Railroad’s “California Ltd.” locomotive train. The ad looks pretty good even in black & white. 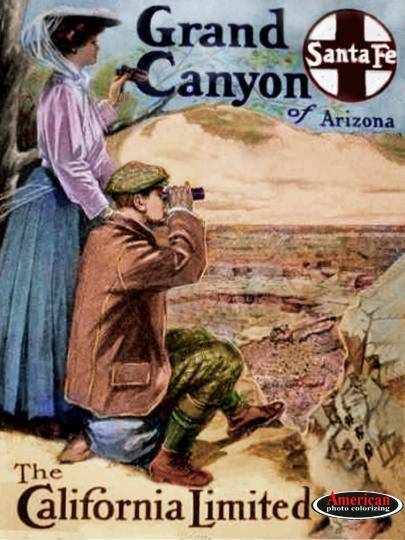 But, add color to it – and the Grand Canyon with the young couple on the cliff above simply “pops” to life.